Celebs are delightful, but have you ever raised a glass with a jellyfish? 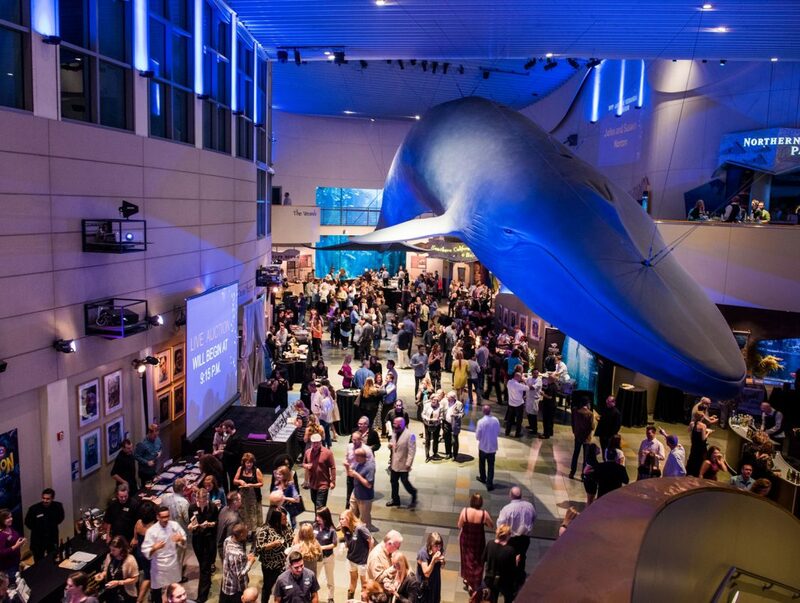 The Aquarium of the Pacific’s Sea Fare fundraiser has to be one of the cooler events around. You get to go to the aquarium at night, you can tour the place with a cocktail in hand, and there are chicken wings. This week the aquarium threw their 11th annual Sea Fare bash with an excited bunch of fish-o-philes who packed the place. The silent auction was so popular (items on the block included California Coastline aerial tours and dives in the aquarium tanks) that you could hardly get close enough to bid. The Go-Fish prize corner was a cute idea, and the live auction even included a chance to name the aquarium’s newest penguin. The honor went to one of the aquarium’s volunteers, Jayde Nicole, whose winning bid let resulted in a penguin named…Jayde. South Bay restaurants set up shop in front of tanks of fish (Kincaids – that was GOOD key lime pie), and happy humans enjoyed themselves well into the night. Monies raised at the event go towards the aquarium’s education, animal care, and ocean conservation programs. All I know is that the next time a giant sea bass asks me over to party? I’m there. You have to wait another year for Sea Fare, but pop in this weekend and see the jellies.